Produktinformationen "Dow's Crusted Port 2011"
Dow's Crusted Port is a blend of particularly full bodied Ports of very high quality from recent vintages (normally from the two or three harvests immediately preceding the bottling date). These Ports are matured in cask for some 12 to 18 months before being bottled without any fining or filtration. 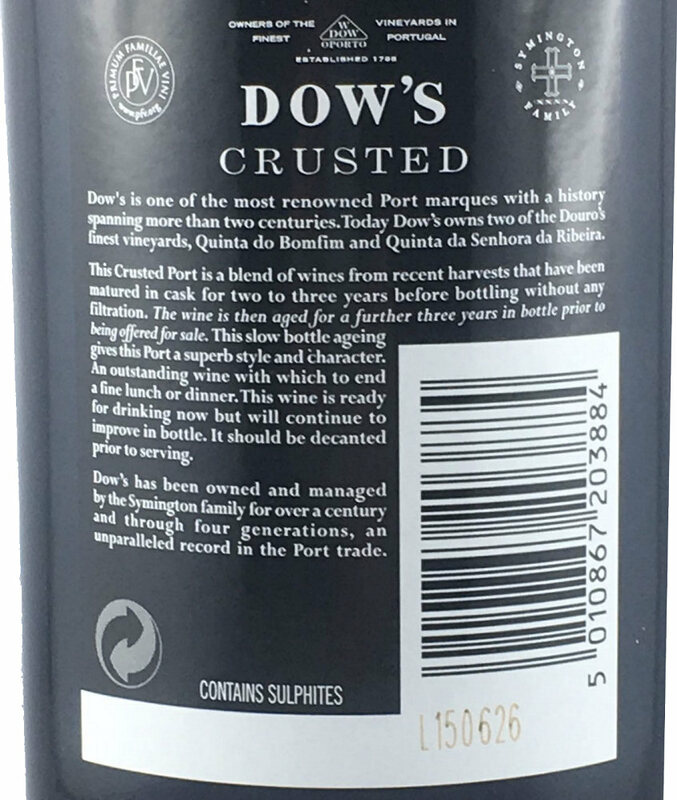 Dow’s Crusted Port is then aged for a further three years in bottle in the Dow’s cellars prior to being released for sale. This prolonged bottle-ageing gives this Port a superb style and character with the distinctive Dow’s dry finish. Dow’s Crusted Port is an outstanding wine with which to end a fine lunch or dinner and is ready for drinking when released onto the market, but it will continue to improve in bottle. 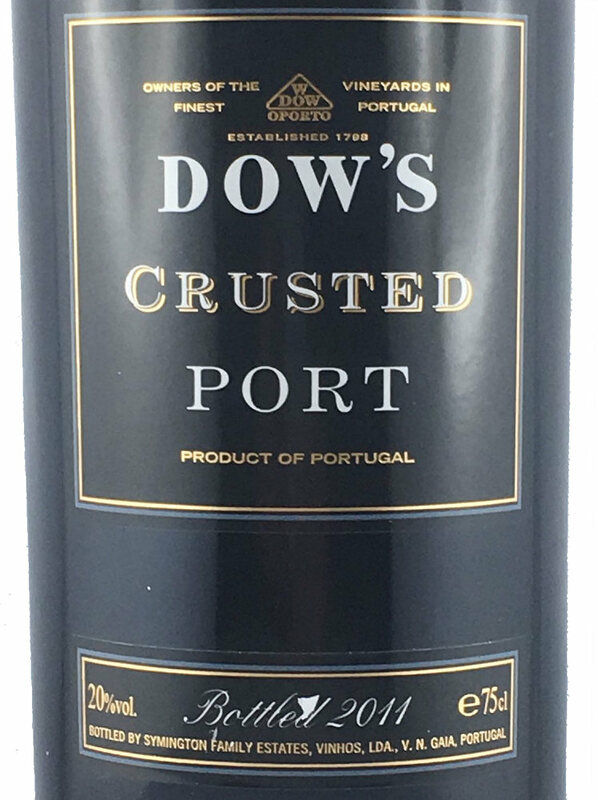 Vibrant and full of ripe red-berry fruit flavours balanced by rich black chocolate over tones, Dow’s Crusted Port is superb value for money and gives many of the unique flavours of the great bottle matured Vintage Ports at a fraction of the price. Weiterführende Links zu "Dow's Crusted Port 2011"